Bookkeeping and Accounting Services will be provided for the small business owner who does not have time to perform the daily recording keeping operations or do not believe it is cost effective to hire employees to perform this work. The firm will provide the daily, weekly and monthly accounting input and reporting as required to assist the business owner to understand their financial status. Tax Planning and Preparation services are invaluable to assist the small business owner in cash flow management, tax credit or deduction opportunities and tax law adherence. Tax planning services are difficult to find. Most businesses see their accountant once a year, which results in a unpleasant surprise relative to their April 15th tax obligation owed. The tax planning services provided by the firm will involve preliminary end-of-year estimation of their tax obligation with the opportunity to review opportunities to reduce the tax through deductions or tax credits. This is done by reviewing the owner's business results 9-10 months into its fiscal or calendar year and estimating the balance of the year's business activity. By performing this estimate prior to the end of the tax year, it allows the small business owner an opportunity to take advantage of some tax credits or deductions and/or plan for the cash flow requirement on the tax return due date. 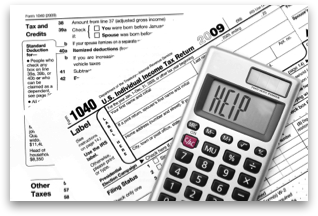 The firm will also provide tax preparation services for its clients, if needed. If the small business owner already has an accountant preparing their tax return, the firm will communicate the tax planning strategies to the accountant to assist in the tax return completion. IRS problem resolution and E-file services will also be provided. Budget and Cash Flow Development and Analysis services will assist the business owner in understanding their current and future cash flow needs and budgeting requirements. Most small businesses do not operate from a budget nor do they know their cash flow needs, daily costs of operating, or break even calculations. These services will assist the owner in surviving a difficult economy, know it's operational obligations and plan for expansion or growth. The analysis services will also assist the owner in understanding revenue and expense trends and how to properly manage them. *Outsourced Controllership or CFO Services - provide part-time CFO services when a full-time employee is not cost effective.